It’s creeping into the picture, that pumpkin pie. Just like the stuffing, the gravy, the cornbread dressing, the mashed potatoes, the turkey, the cranberry sauce, the sweet potatoes, the roasted cauliflower, the olives, the family gathering, and the need to end the meal by unbuttoning our pants. Oof. It’s almost time for Thanksgiving. Honestly, it’s the time around the table, the laughter, the board games, and the fire whispering away in the fireplace that moves me most. Can we all agree to relax? 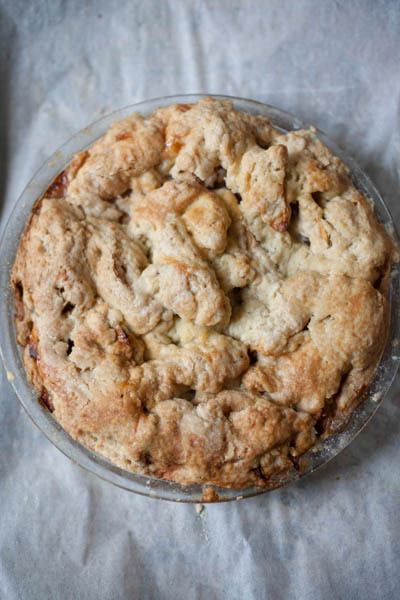 To help you relax, Danny and I have made you an iPad app, showing you how to bake everything you need for Thanksgiving, gluten-free and grain-free. This year, we also have a digital download for those of you without an iPad. See? Thanksgiving just grew easier. 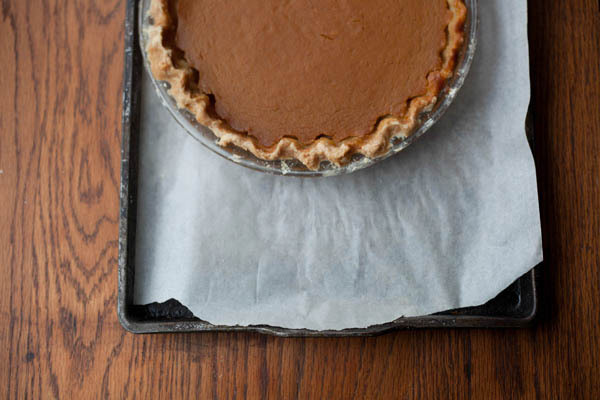 And for years, we’ve been making gluten-free Thanksgiving recipes for you. From appetizers to desserts, we’ve made them as delicious as we can. Would you like more recipes for Thanksgiving? Check out our gluten-free Thanksgiving baking iPad app, as well as the digital download version of the app. Last year, we made you videos, showing you how to make every dish you’ll want on your Thanksgiving table. Here they are! And if youre tired all those carbs and starches, make turkey lettuce cups with pear and walnuts. Seriously, with these videos, and our gluten-free Thanksgiving baking iPad app, as well as the digital download version of the app, we have you covered. This year, we realized how many gluten-free people seem to heal more fully by giving up all grains entirely. That’s not hard through the year, but on Thanksgiving? The starchiest holiday of the year? That’s tough. But not really. Because we’ve come up with a grain-free flour mix we love, one that works for every baking recipe in our gluten-free Thanksgiving baking iPad app, as well as the digital download version of the app. You can have a delicious, grain-free Thanksgiving this year. All you have to do is replace the grain flour mix in the original recipe with the same number of grams of the grain-free mix. It works. The sandwich bread recipe does call for 100 grams of oat flour, but you can just substitute 100 grams of almond flour in its place. Or, if you have access to raw buckwheat groats, grind those into a flour and use 100 grams of that in the sandwich bread. That’s what we do here. Do you need a grain-free Thanksgiving? The recipes in our gluten-free Thanksgiving baking iPad app, as well as the digital download version of the app will help you make it a great meal. Would it really be Thanksgiving without pie? We show you how to make gluten-free and grain-free pie dough in our gluten-free Thanksgiving baking iPad app, as well as the digital download version of the app. 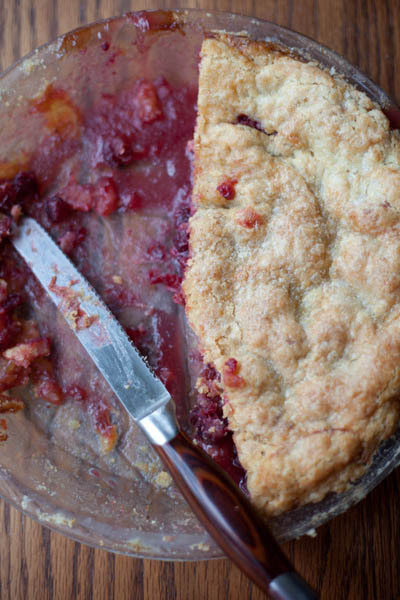 You can use that pie dough to make cranberry-orange pie, coconut-banana pie, and of course, pumpkin pie. No one should have to feel deprived on Thanksgiving. Whether you have to be gluten-free or grain-free, our gluten-free Thanksgiving baking iPad app, as well as the digital download version of the app should help. Now, let’s talk about those board games and laughter. What will be the best part of the day for you? The paypal isn’t working for the digital version. Message says seller’s site has a problem. I look forward to buying the digital version soon. There was an odd glitch with Paypal but it should be resolved now. Are the Thanksgiving recipes all removed form this site already? It’s only 12/4/13 and some of us do not carry iPhones or are allowed to view videos where we are all day. Please don’t forget the rest of us who are out here, attempting to still see your blog but feeling left behind. The post on your new recipe collection sounds marvelous and I guarantee that there will be tears in our house when the sourdough bread is made, too. Any possibility that you could also give the recipe for a GF sourdough starter? Found one in a very old cookbook, but haven’t cracked the code yet for what to feed it to make it robust. So far it’s really fond of almond flour, and also sorghum, but not many other of the GF flours. Karen, all the Thanksgiving recipes are still on the site. There are 8 years’ worth of them. Yes! I found the same. No recipes, just error messages. Also, Shauna, I’ve gotten your latest cookbook and would love to try the biscuits, but can’t have dairy…any suggestions for the buttermilk and yogurt?? Got it! (pdf) Love it! Thank you! Ok, maybe I missed something, but I can’t find the grain-free recipes. Did I buy the wrong version? The one I got has the grain-free flour mix, but none of the recipes are specifically grain-free and I don’t know what you recommend I replace the oat flour in the sandwich bread or the cornmeal in the corn bread with to make it grain free. Help! Miranda, all you have to do is use the same number of grams of the grain-free flour mix to replace the gluten-free flour mix in the recipes. 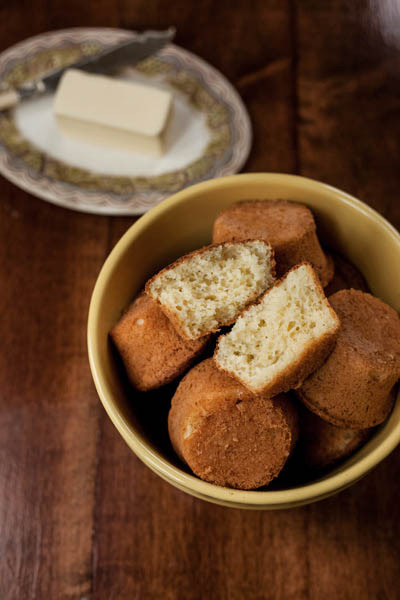 I updated about the bread and cornbread in the post! Thanks,Shauna! I figured it was that simple, but it doesn’t hurt to ask. Thank you so much for the PDF download this year! I just bought mine, and downloaded it. Not only is it full of fantastic info and recipes, but it looks beautiful as well. Congrats on putting such a great product out into the world for us all to enjoy. I really appreciate your efforts on our behalf!! Thank you so much, Heather! Truly. I’m so excited that you included your grain-free flour mix and made this available as a pdf! It’s really beautiful, and the info on converting gluten-free recipes to grain-free alone was worth the price of the download. I was getting ready to try a grain-free spritz cookie this weekend, and I think I’ll be much more successful because of your advise. Shauna, or anyone else, any tips for replacing the oat flour to make the sandwich bread grain-free? I googled around for ideas, but I didn’t see anything that looked promising. I’m thinking I’ll just add the same amount of the grain-free flour mix, but if anyone has successfully substituted for this, I’d love to hear about it. Michelle, I just updated the post because I forgot to mention that. You can use additional almond flour or buckwheat flour, which is my favorite choice here. Best part of day, even though I’m celebrating it early, the whole meal with incredibly good red wine even though some family is absent and giving Thanks that last weeks tornadoes missed the Chicago area (even though it wasn’t by much). Then being somewhere WARM on Thanksgiving. Yep! We brine ours in a big Cambro. Danny’s ready already! I love your gratitude for warmth. We brine ours in our camping cooler. We go to McDonalds or the Liquor Store and they will fill it with ice for free. Then I use half the ice for my cocktails (lol) and add the turkey and the brine overnight. It does not take up any valuable space in our fridge, and the the turkey remains at a perfect temp in the cooler! I was just going through the old recipes…will be using the cranberry chutney this year. 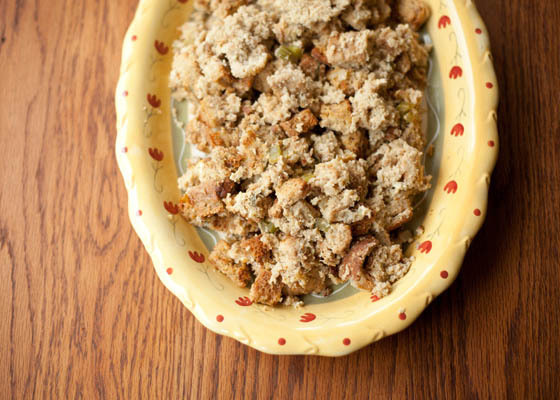 I have been debating whether or not to make gluten free stuffing this year since I am the only gluten free person at the table and I haven’t had stuffing in years so don’t really miss it. So anyways, went to check out the recipe and saw the old video…HOW CUTE IS THE TINY VERSION OF LU!! Holy crap that made my day…just a babe. Happy Friday to me. Still not sure about the stuffing but man that kid’s spirit brings me joy. Happy Thanksgiving to all of you over in Vashon. I know! I just saw that the other day and was astonished. She has grown so much lately. Thanks for noticing. That was such a funny kerfuffle, wasn’t it? I am so excited that you are adding grain free recipes and I know you and Danny work very hard to come up with the perfect ratio for baked goods. I was just curious if you have experimented with a flour mix using more of the grain free starches and less of the almond flour and what the results were. Maybe it’s just me, but I am not crazy about the texture of anything I have baked using “mostly” almond flour. It always turns out a little too moist for me (unless I’m doing something wrong). Any suggestions? That’s exactly what I find, Jody. We use almond flour and starches, or buckwheat flour and starches such as arrowroot or tapioca. The moistness may come from the fact that most recipes don’t account for the protein and fat in the almond flour. If we use almond flour, we usually cut in the recipe by 10% to compensate. What is the difference between the app and just the digital download. Do I need the app? Looking forward to you recipes. The app is made for the iPad, so it has videos and interactivity the way an iPad app does. So many people who didn’t have an iPad asked for the recipes that we created the digital download for those folks. I just made a loaf of your sandwich bread using your grain-free adaptations, and wow. That is some spectacular bread! 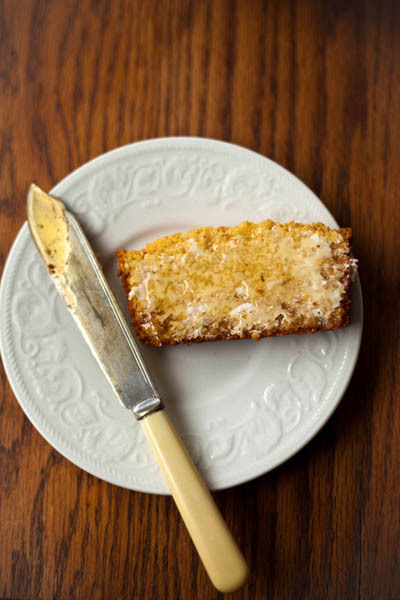 Never mind that it’s gluten- and grain-free, it’s just freaking delicious. The crust tastes vaguely like fried chicken breading, in the best possible way. I’m incredibly excited to make stuffing out of this bread for Thanksgiving, and I’m really looking forward to leftover turkey sandwiches for the first time since going gluten-free! I’ve made the grain free dinner rolls twice for practice before Thanksgiving and they are awesome. My husband likes them better then the wheat rolls I’ve made in the past. These are also great the next am broiled with a little butter and a poached egg. I bought your Thanksgiving app last year. It had a few ingredient amounts missing such as how much coconut milk in the pumpkin pie. Have these errors been corrected? yes. there is an update i the app store. Great post as always! But as far as I know buckwheat is still considered a grain (although a gluten free and pseudo one) in grain-free circles or have I missed something? As you wrote, it’s a pseudo-cereal, not a grain. Buckwheat is actually a member of the rhubarb family. The doctors and nutritionists I have talked with have told me buckwheat does not have the same inflammatory properties that whole grains can have on some folks. So people can make the decision themselves to eat it or not but buckwheat is not a whole grain. Yes, I agree, but then I don´t see the difference between other gluten free cereals and grain free ones in, let´s say, the case of the corn bread mention in the post. What makes buckwheat included in the grain free version and not corn? I honestly want to know as I find interest in how this term seems to have different meanings in different circles. Corn is a grass, in the monocot family, just like wheat and rice. I don’t believe there’s anything inherently damaging about grains. But some people, especially those with celiac or gluten intolerance, react to those grasses in an inflammatory fashion. So corn is one of them. Buckwheat is not. Thanks Shauna for explaning! I´ve been gluten free for 15 years and find myself reacting stronger to buckwheat than corn and rice. But then there´s the whole issue ov cross reactivity… Thanks again! And you could very well have a buckwheat intolerance. Who knows? That’s why I think that blanket statements about what every person should eat are silly. We have to figure it out for ourselves! This is amazing!!! I will definitely be using it for all my holiday meals. Same here, all the recipe links give me a 404 error. Thanks. Those dinner rolls look fabulous! I wanted to share the link on social media, but it goes to some sort of test page. Could you please update it? Thanks so much. Love your blog!